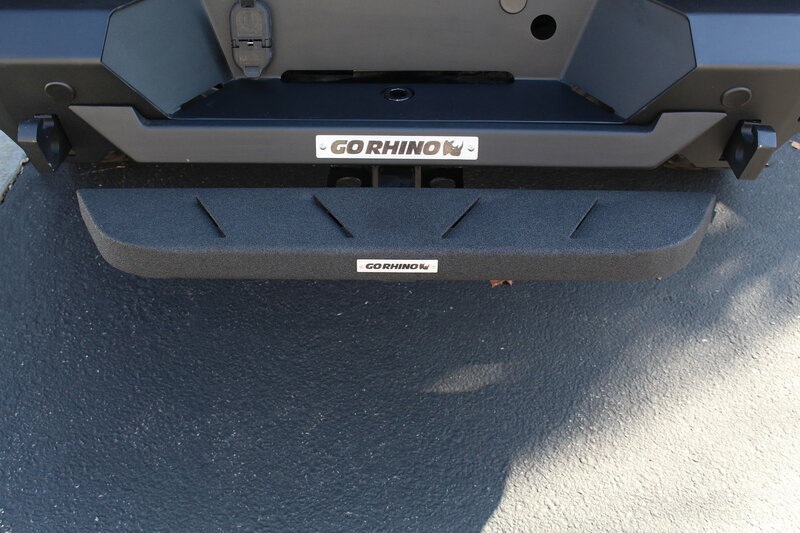 The RB10 Universal Hitch Step from Go Rhino can be helpful with aiding you when you have to get things from your roof rack or even if you you are taking your trail buddy with you to help them get in the cargo area of your Jeep. 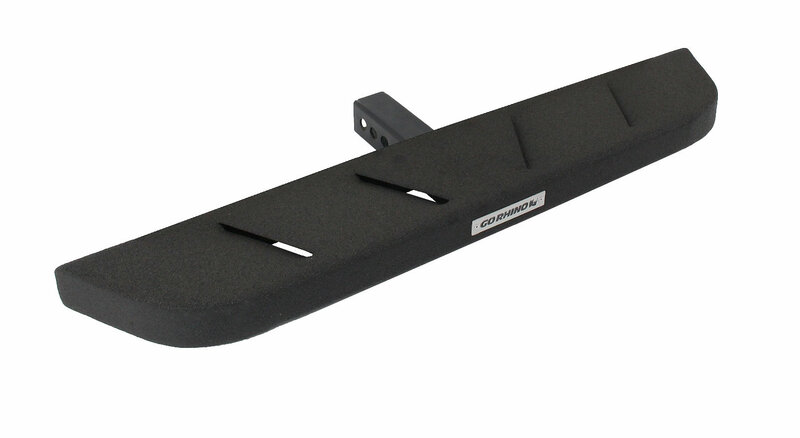 Made from 16-gauge galvanized steel this wide stepping platform fits in your 2" receiver hitch. Comes in your choice of Textured Black or Black Bedliner. 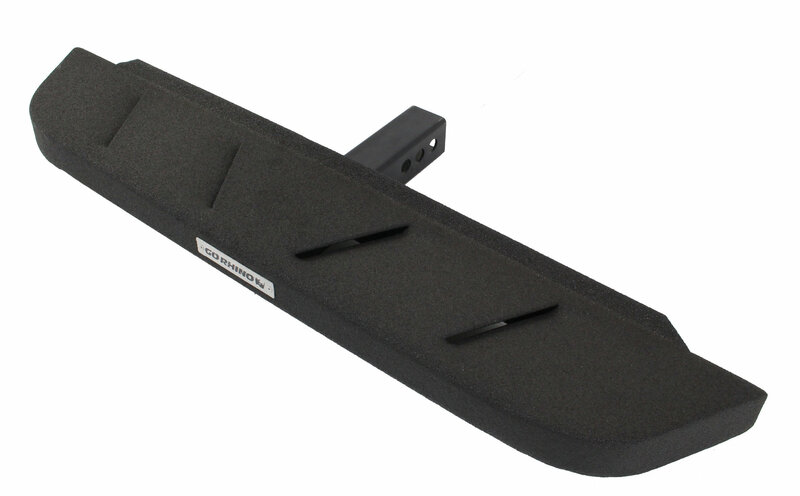 Function: Gives you a stepping platform making it easier to put things on your roof rack or help your animal get in the back of your Jeep. Fits directly into your 2" receiver. Construction: Manufactured from 16-gauge galvanized steel for a strong sturdy platform. Finished of with a durable textured black finish to protect from corrosion as well as impact & abrasion resistant. Finish Options: The textured black option is more like your tradition textured black powder coat while the black bedliner option is more like the bed liner of a pickup truck.